A public-key cryptosystem is usually used for key management, in particular to session key management. 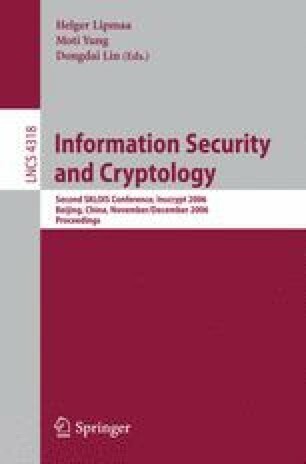 The paper presents a method for handling a batch of concurrent keys with homomorphic public-key cryptosystems such as RSA, Paillier and ElGamal. Theorematically, regardless Shacham and Boneh proved that it is impossible to provide batch RSA encryption of messages with a single certificate, the present result is positive when the messages are small. Practically, the present method is compliant to the de facto standard SSL/TLS handshake and increases the SSL system performance.